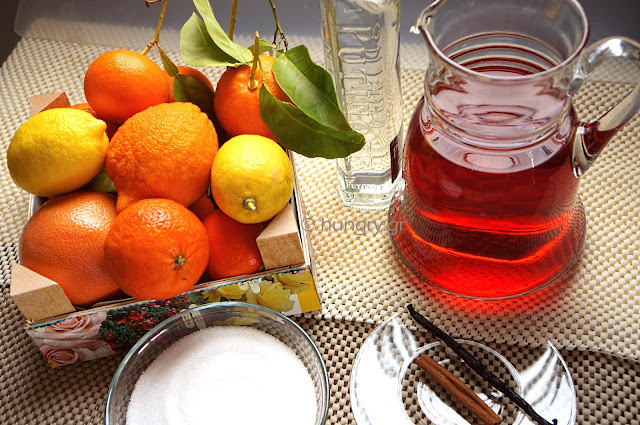 Vin D'Orange, or Orange Wine is a delicious, very aromatic and perfectly balanced spirit drink. 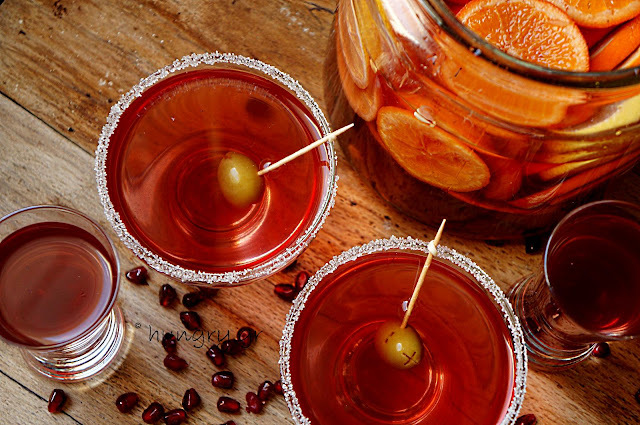 The aromas of spices and the freshness of citrus blend with the vividness of wine, create an excellent drink with delicious tension. Wash the fruit and cut into round slices, removing both the ends, up and down. 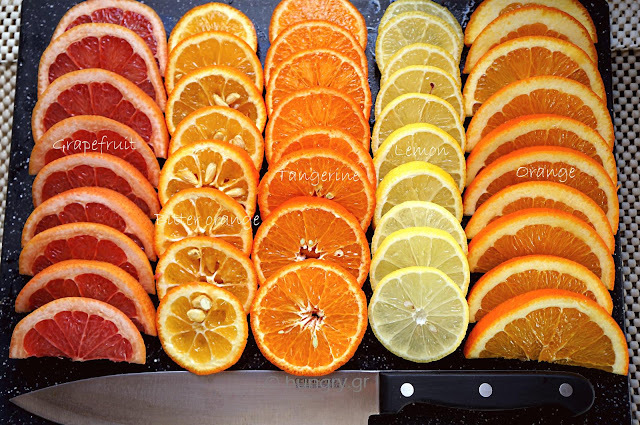 If it is large, such as the grapefruit, cut the slices into 2 or 4. 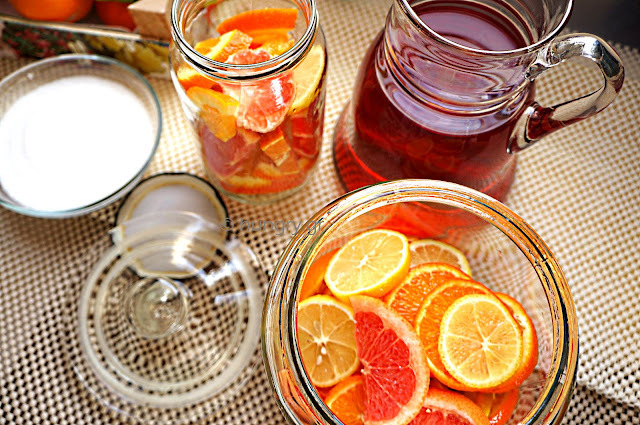 Pour the fruit slices in large glass jars with wide opening. Inside the jars, add sugar, vanilla pods, torn along and sticks of cinnamon. 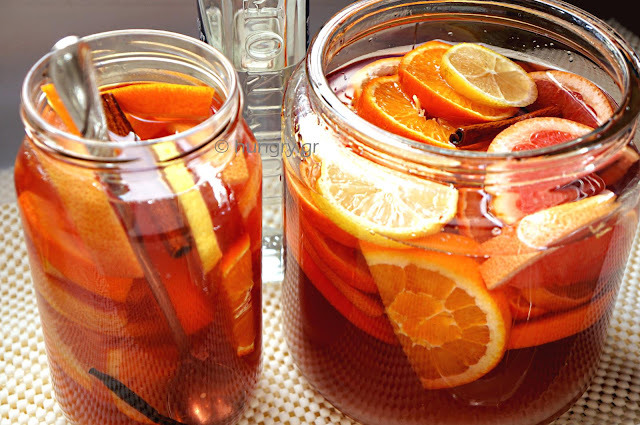 Add the wine to fill jars to the top and completely cover the fruit. 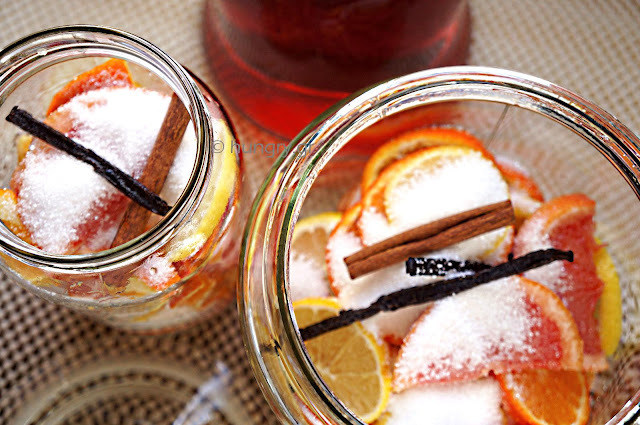 … the bottom of the jar to dissolve slightly sugar. 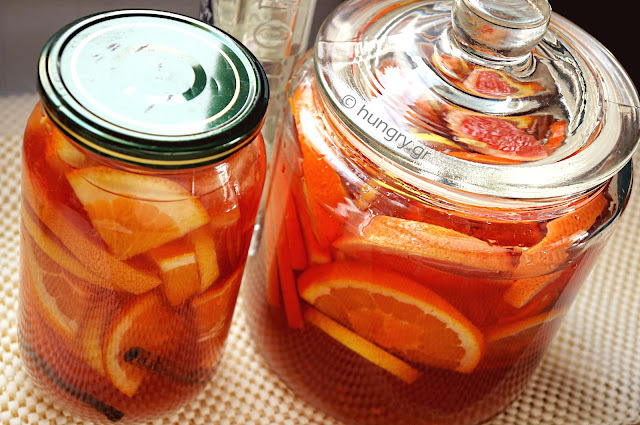 Cover the jars with lids tightly and preserve in the refrigerator for two weeks. Stir a couple of times. Finally, strain the drink and add the rum and vermouth. mix. 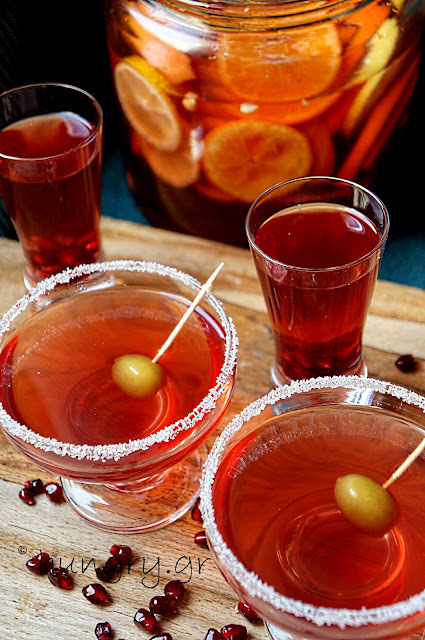 If you want more intense in the taste of alcohol, add more vodka, rum and vermouth. 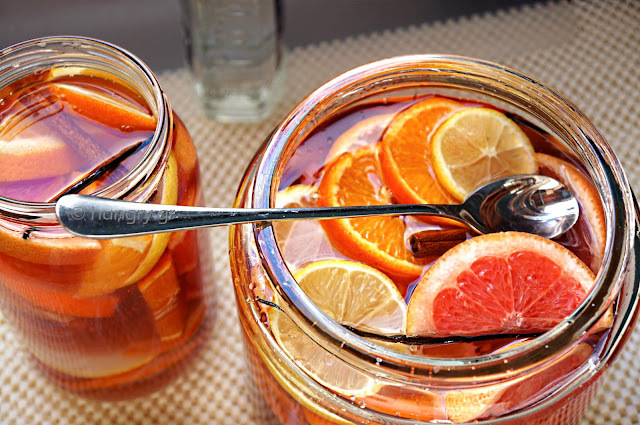 Is a wonderful Vin D'Orange Punch and Grog for large gatherings at parties or party. Your guests will love it! Packaged in beautiful bottles is a unique gourmet gift for your friends, made by your hands! 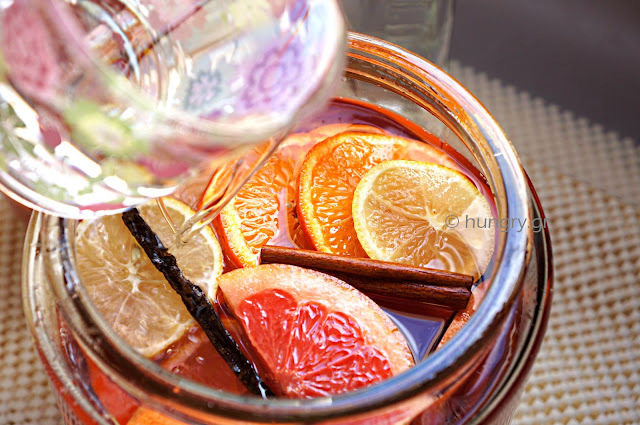 Aromatic mulled wine with European origin. 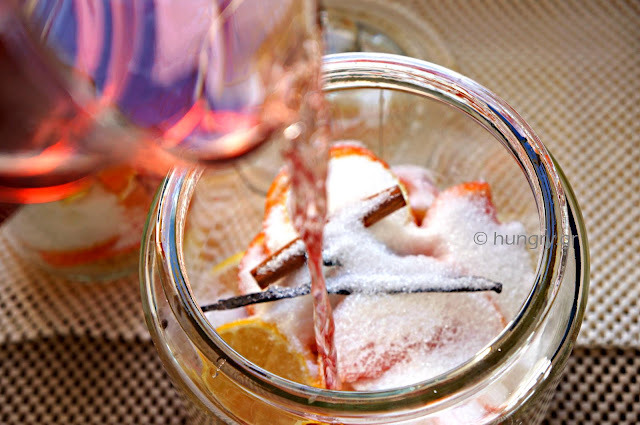 Hot Wine, Mulled Wine or Glühwein, as it is called in German-speaking countries. 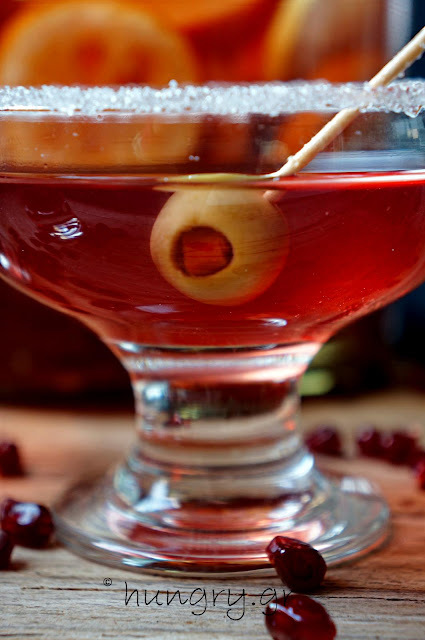 It is a traditional drink which warms people for centuries and is offered during the Christmas or Carnival. 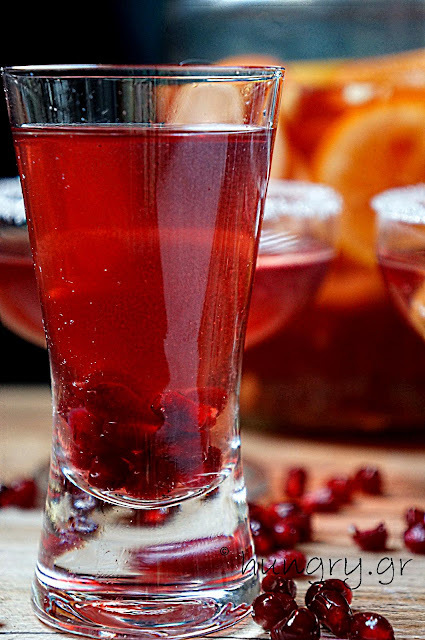 The Mulled Wine is a very popular traditional drink in the UK for Christmas, and less often during the winter. 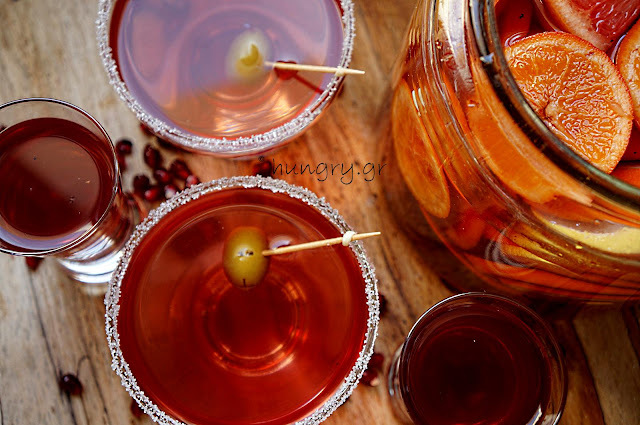 Typically made with red wine, cider and many spices. 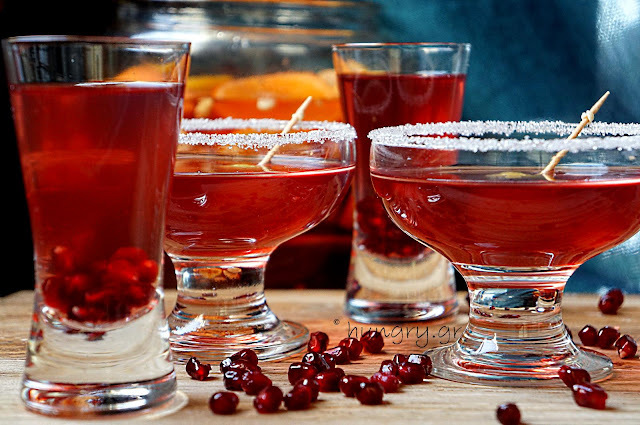 It is a delicious drink for cold winter evenings and very suitable for friendly and family gatherings on festive winter days.